Any type of tea is considered fairly safe to drink, hot or cold, during pregnancy. Pregnancy-safe teas do still contain caffeine but only about half the amount of coffee. It’s recommended to keep your caffeine intake to under 200mg per day while pregnant, but you might want to double check with your doctor as everyone has different limits. One 8oz cup of black coffee contains about 95ml. Black tea, in comparison, offers around 55mg per 8oz. Green tea comes in at about 35mg, white at 30mg and Oolong around 37mg. Red and other herbal teas are naturally pretty much caffeine free. Up to 0.5mg of caffeine has been detected in some herbal teas. So, with tea, you can still get your morning caffeine boost, and enjoy a lot more to drink. It also leaves plenty of variety to meet your caffeine needs and having a choice of flavors. Always check your specific tea for exact measurements and ingredients. I would often have a cup of black tea in the morning to give me a energy boost, because let’s be honest towards the end of pregnancy a energy boost is much needed! 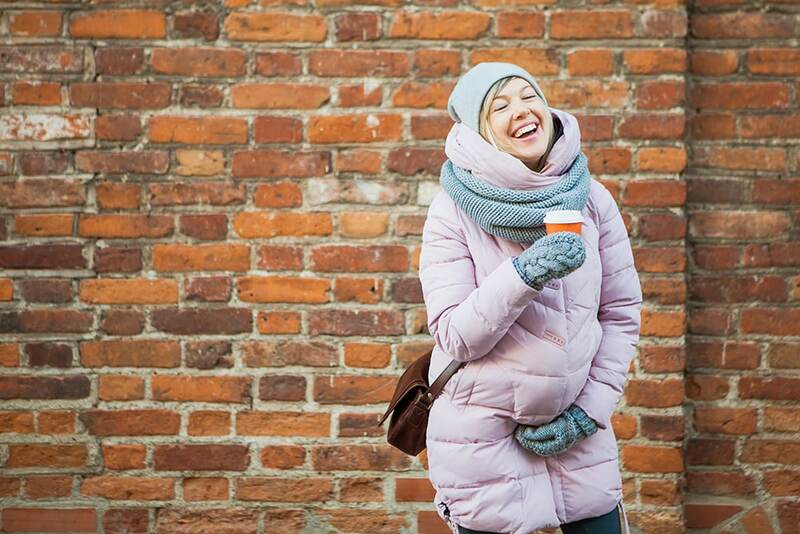 During the Winter I would make tea at home and then take it with me on the walk to work! It’s quite a list! And while the amounts you get may be quite small per cup of tea, every little bit helps. Imagine getting that extra boost of Folic Acid for your babies growing brain with your morning cup of black tea? 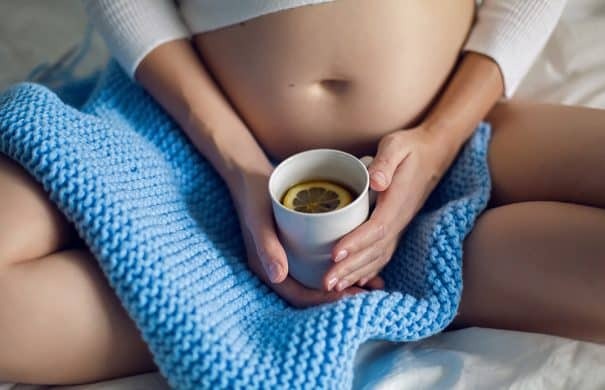 If you want to go the caffeine-free route with red and herbal pregnancy-safe teas you get a ton of antioxidants, iron, potassium, copper, zinc, magnesium, and is even given to people with lactose sensitivities as a source of calcium. Red bush tea also helps your body from becoming anemic because it helps it absorb iron better. Tea holds many benefits for the drinker, however not all ingredients are safe to drink during pregnancy. Any sort of “detox” tea should be avoided as it often contains diuretics and can lead to dehydration. PMS or menstrual teas should be a no-no as they can cause premature contractions of the uterus. You will often find nettle in “pregnancy” teas, but it is important to check these. 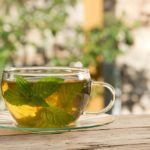 Nettle leaf in tea is considered safe once you’re into your second trimester and beyond, but nettle root needs to be avoided. Stay away from anything with black or blue cohosh unless you’re trying to start labor, as they can start the uterus contracting. Steer clear of St John’s Wort, Dong Quai, Ginseng, Yarrow, Pennyroyal, Ephedra, and Licorice Root. You should also generally note that a lot of commercial teas carry a lot of residual pesticides. Some tests indicate levels of unsafe amount of these chemicals in processed teas. It’s best to find teas that are certified organic, have verified sources, have a public record of chemical test results, or you can blend your own teas from organic ingredients. It’s actually quite easy to find pregnancy-safe teas to drink. They are quite abundant. Red raspberry leaf is quite common. It’s best not to drink it before your 24th week of pregnancy, but it’ll help tone the uterus so that when you go into labor your contractions are more productive. Dandelion teas are high in vitamin A, calcium, iron, and potassium. They make a good “once-per-day” tea as it will support your liver, but too much can be a diuretic. Teas with nettle leaf are considered safe, as mentioned above. Nettles provide iron, calcium, and magnesium. Any Rooibos or red bush tea is great since it is high in minerals, antioxidants, and is caffeine-free. It also comes in thousands of flavors. Look for red teas with natural flavor additives such as fruit and herbs. 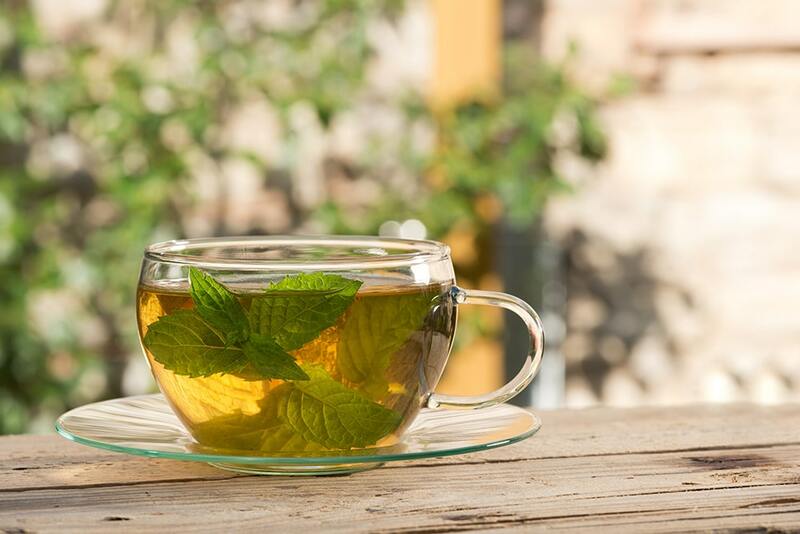 Three pregnancy-safe tea ingredients are ginger, lemon balm, and peppermint. Don’t forget that it’s so easy to make your own mint tea at home if you want! When you combine these ingredients you get the ultimate Morning Sickness Tea. Combine these ingredients as directed below, and keep that nausea at bay! Peppermint and ginger are both wonderful digestive aids and are known cures for upset stomachs, even while not pregnant. That’s why I love this Cucumber Peppermint Tea recipe! Lemon balm adds a slightly citrusy flavor and is considered very calming for stomach and nervous system. This was my favorite tea recipe during my pregnancy! The recipe below can be adjusted to your taste buds. 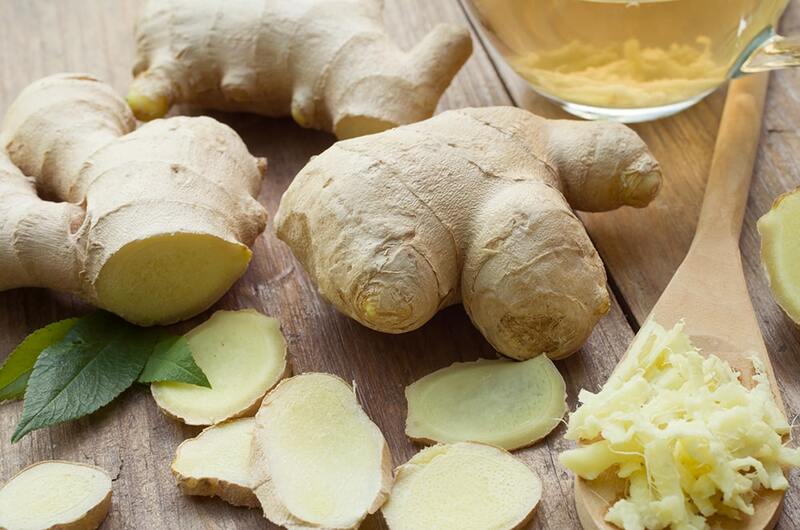 Some people just don’t like the taste of ginger, and that’s okay. If you can reduce the amount in the tea to an acceptable taste, you’ll still get the benefit of the root. You’ll want to add all the ingredients to a tea infuser and let it sit for 10-15 minutes in boiling water. If you must omit an ingredient entirely, you’ll still get the benefits of the other two. Feel free to sweeten it with local honey if you have some! It not only sweetens tea perfectly but adds more antioxidants and can calm any additional heartburn you’re experiencing during pregnancy. This morning sickness tea is great anytime! While it is, of course, pregnancy-safe, it’s perfectly good to have when you’re not. Upset stomach or not! It calms the tummy and aids in digestion. It has a slightly spicy, lemony, minty flavor. As mentioned above, feel free to adjust the ingredients to taste, but if you take one out, add more of another to balance it. Add lemon balm leaf, ginger root and peppermint leaves to a tea ball or infuser. Tea bags are an option, but infusers offer more room for the ingredients to “dance” and infuse better. Place your infuser of choice in your cup. Pour boiling water over the ingredients in the cup. Cover the cup with a lid to keep the heat in and let sit for 10-15 minutes. Remove the infuser. Enjoy it hot or add ice cubes for a chilled version. If you are sweetening it with honey, mix it into the hot tea before chilling it. Add additional mint leaves when serving if desired. Hope all you Mamas find this post helpful! I hope you all have a great pregnancy! Best of luck! You can follow me on Instagram for my Motherhood journeys and more recipes! 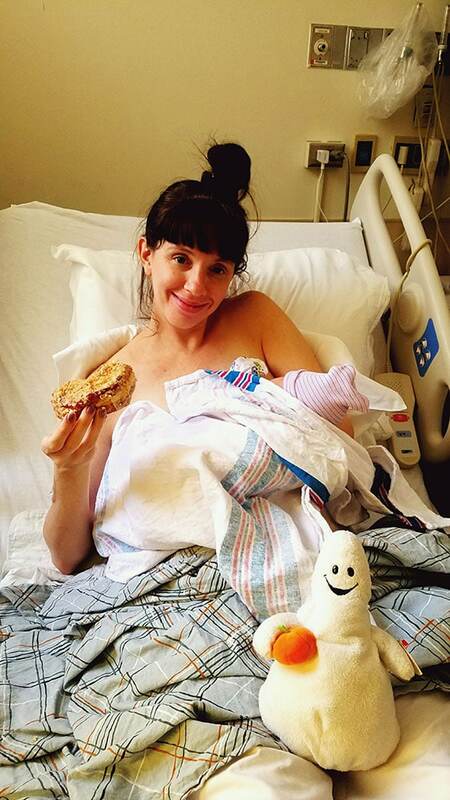 You can also read my birth story here! 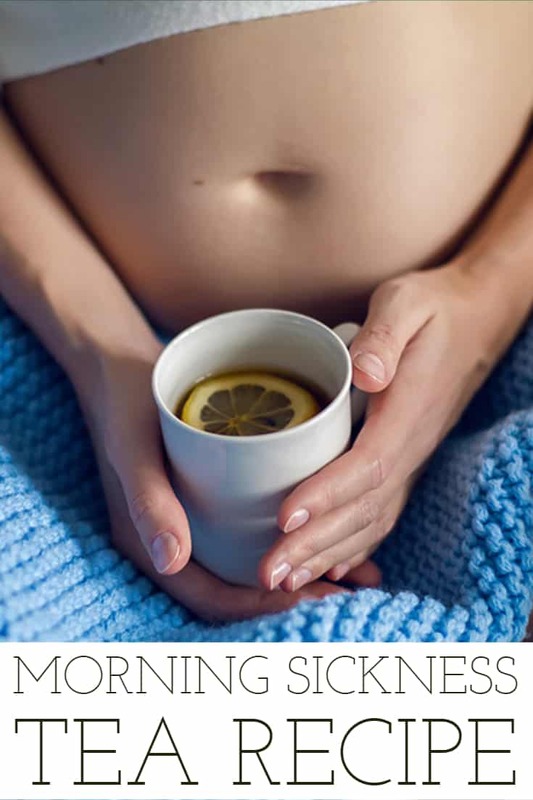 Thank you for this very useful article, I had very bad morning sickness and nausea which caused me to loose a lot of weight and you are right Tea really helps, actually in my case it was the only thing that helped me, a friend of mine got me an organic tea called no to morning sickness tea by a company called secrets Of tea and it changed my life, it has ginger in it and very other herbs that really helped stop Thebes nausea and the vomiting.